After last week's Ozotic Beam 905, let's focus on Sugar 902 today! 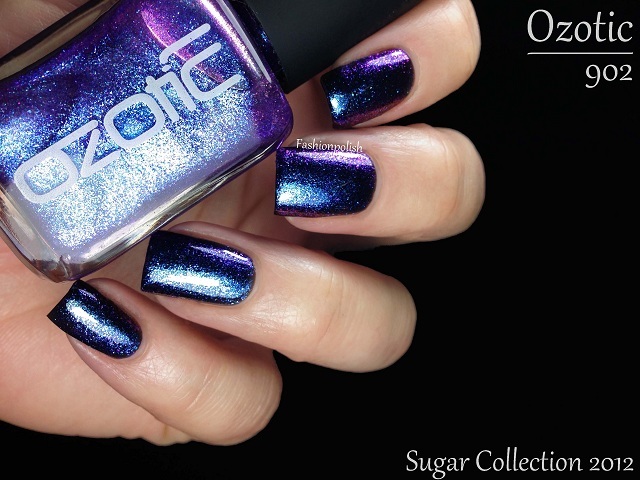 Ozotic Sugar 902 is a sheer purple glass fleck duochrome. 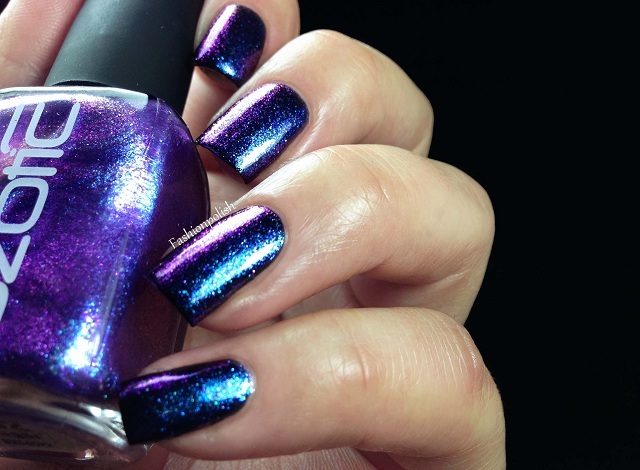 Its particles go from warm purple to royal blue and if you're looking for bold color shifting, look no more! I layered one coat of 902 over a black creme and the amazingly strong effect combined with the fantastic coverage will satisfy every duochrome lover. You're looking at one coat of black topped with one coat of Ozotic 902 plus topcoat. Needless to say, I'm in LOVE! 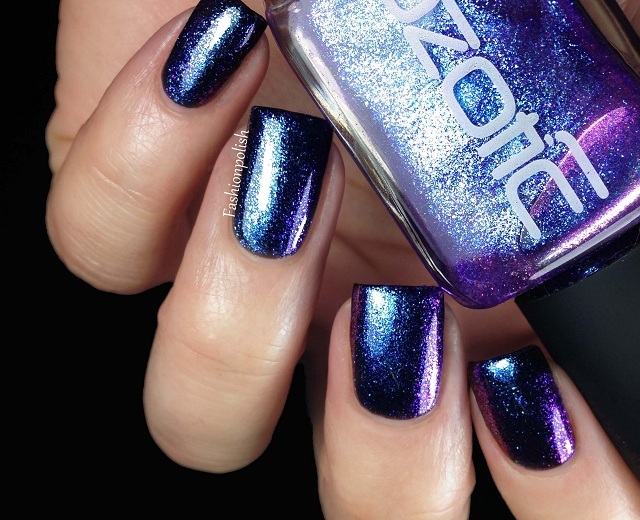 Ozotic 902 retails for AU$12 and can be purchased directly from piCture pOlish.com.au or through their international network. Love it! This is gorgeous!!! Wow, this is a beauty!! oh my....it takes my breath away!